Sometimes, Amazon will refund a customer sales tax that it has charged. When this happens, you'll have to create the proper refund document. Simply creating a refund document may mean that your sales tax liability accounts will not reconcile. Read our article for a more thorough explanation. 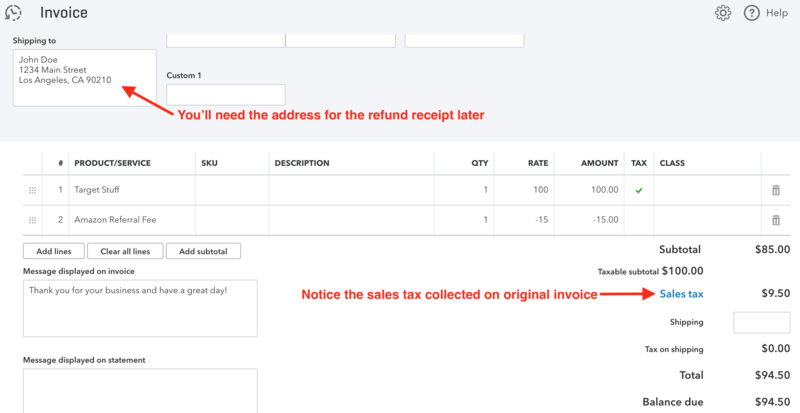 Take a look here for an example of an invoice with sales tax and how to create a proper refund document for sales tax. Here's an invoice with sales tax. Here's the sales tax liability account showing the tax liability. 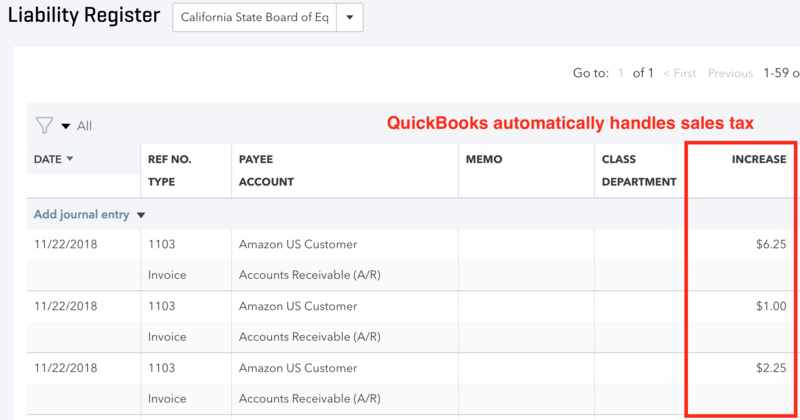 Choose the customer and enter the address in the Billing field so that QuickBooks can properly adjust the proper sales tax liability account. Here's a sample refund receipt. 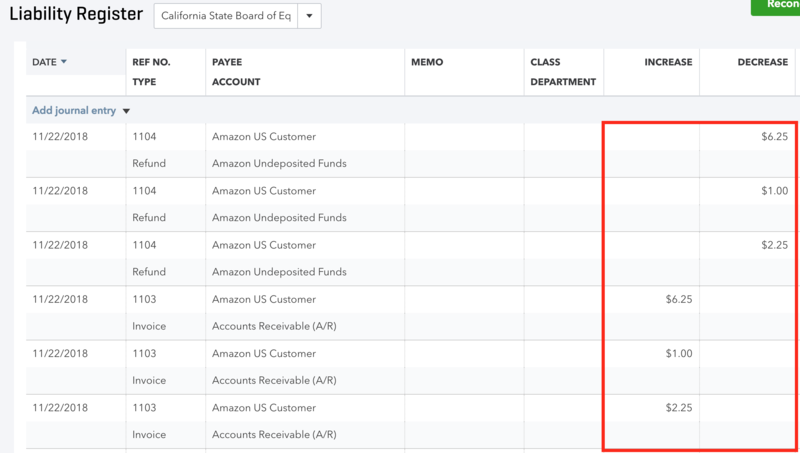 If you're collecting and remitting sales tax, then choose your Amazon Undeposited Funds account. 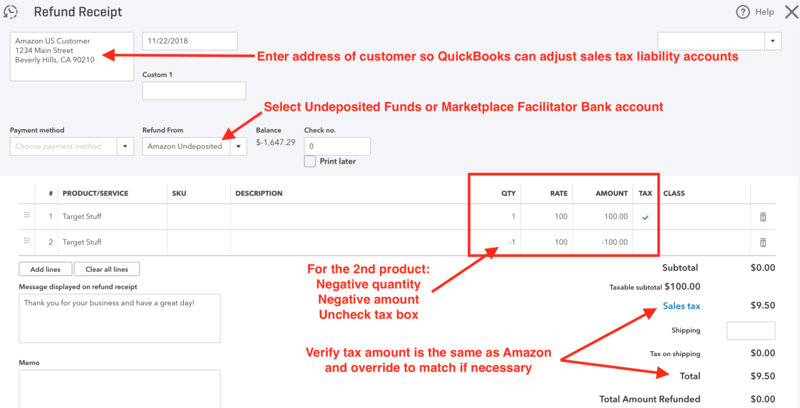 If the refund is for Marketplace Facilitator Tax, then you'll want to select that bank account. Override the sales tax amount with what Amazon refunded if necessary. Make sure you have a negative quantity to match the first line item quantity or your inventory accounts will be affected. The net quantity change should be zero. Sample register for the sales tax liability account showing tax collected from invoice and tax refunded. Note that the amounts match.